The fall and winter 2014/2015 season itineraries announced today by Norwegian Cruise Line with eight contemporary ships sailing to the Caribbean and Bahamas & Florida from five homeports: Miami, New York, Tampa, Houston and New Orleans. 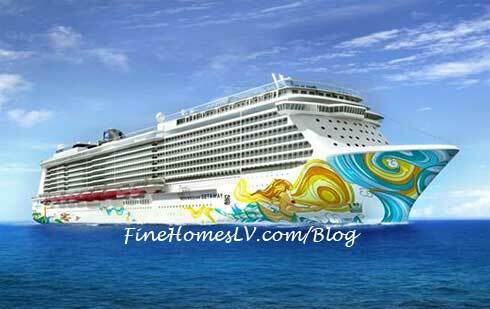 Norwegian Getaway, Norwegian Epic and Norwegian Pearl will set sail from Miami. Norwegian Breakaway and Norwegian Gem will continue to depart from New York. Norwegian Sun debuts in Tampa while Norwegian Dawn will be introduced to New Orleans. As previously announced, Norwegian Jewel will set sail from Houston. The line will also increase its seven-day Mexican Riviera sailings from Los Angeles and a series of Panama Canal voyages between Los Angeles and Miami. All of these cruises go on sale today, December 18, 2012 and can be booked in conjunction with the line’s “The Upgrade Wave” sales event. Norwegian Sun will arrive in Tampa for the first time and sail seven-day Western Caribbean itineraries departing every Sunday from October 19, 2014 to April 12, 2015. Ports of call include: Roatan, Bay Islands Honduras; Belize City, Belize; Costa Maya and Cozumel, Mexico. In 2014, Norwegian will return to Houston, Texas with the arrival of Norwegian Jewel, sailing a series of Western Caribbean cruises from October 11, 2014 through April 11, 2015. Ports of call include: Cozumel, Mexico; Belize City, Belize; and Roatán, Bay Islands Honduras.